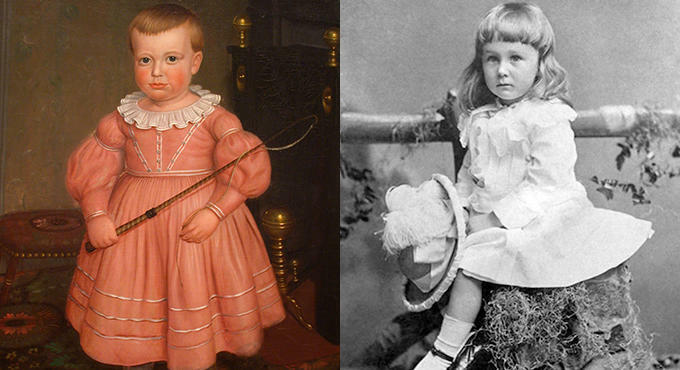 Just before the 1920s, pink and blue started to become associated with gender - pink was considered suitable for boys while blue was suitable for girls. This was something new, as before, all children - regardless of gender - would wear pink, blue or white. "The generally accepted rule is pink for the boys, and blue for the girls. The reason is that pink , being a more decided and stronger color, is more suitable for the boy, while blue, which is more delicate and dainty, is prettier for the girl." Other stores soon followed suit. By 1927 this color assignment was so prevalent that time magazine published a gender color chart of all major U.S. Retailers in agreement. 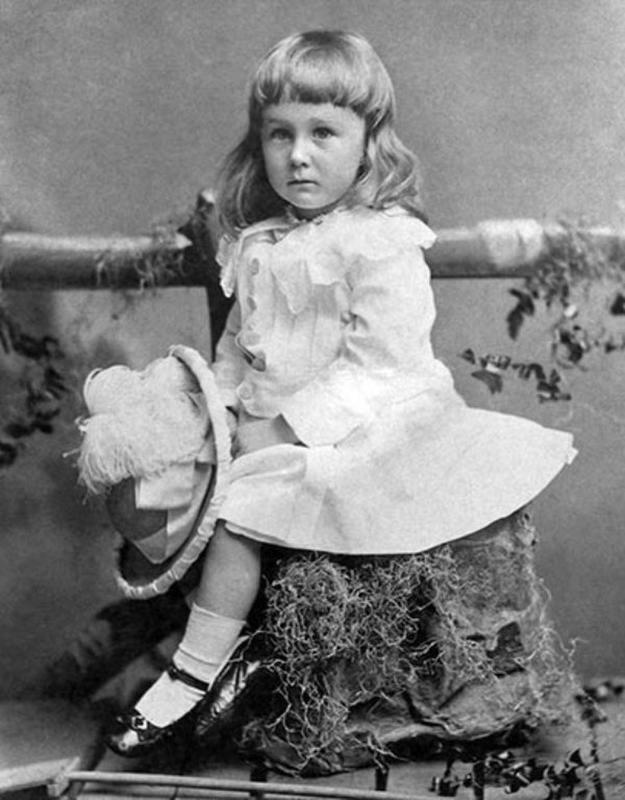 Before this ALL children mainly wore white and, regardless of gender, wore dresses. White was easy to bleach and dresses allowed for easy diaper change. Then if it was so practical why change? Was it fashion trends? Partly. But it seems the main reason for this change was motivated more by profit. Large retailers realized they could earn more by tailoring clothes in pink and blue for boys and girls respectively. 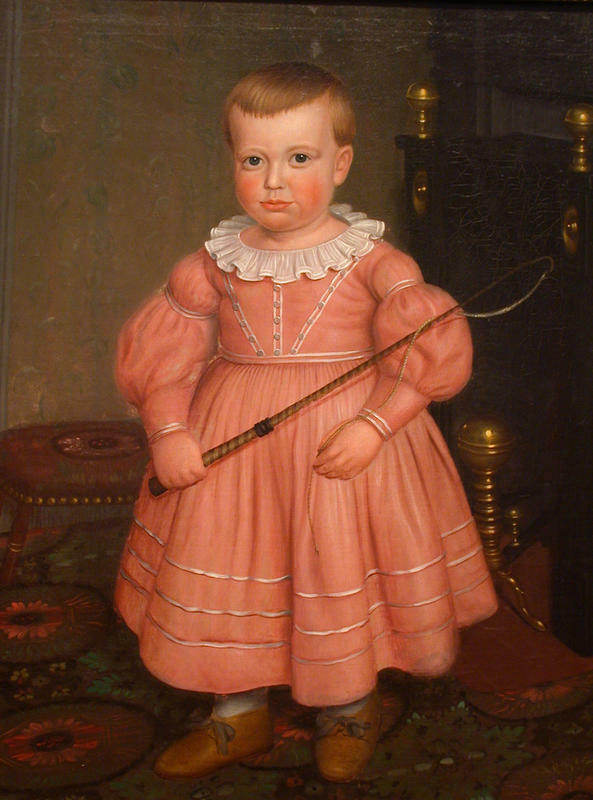 Before this parents had been simply dressing younger brothers and sisters in hand-me-downs from the oldest child. This change would eventually lead to designing trousers for boys while girls remained in dresses.